If there's one thing that we believe, it's that there's a perfect shade of blue for everyone. 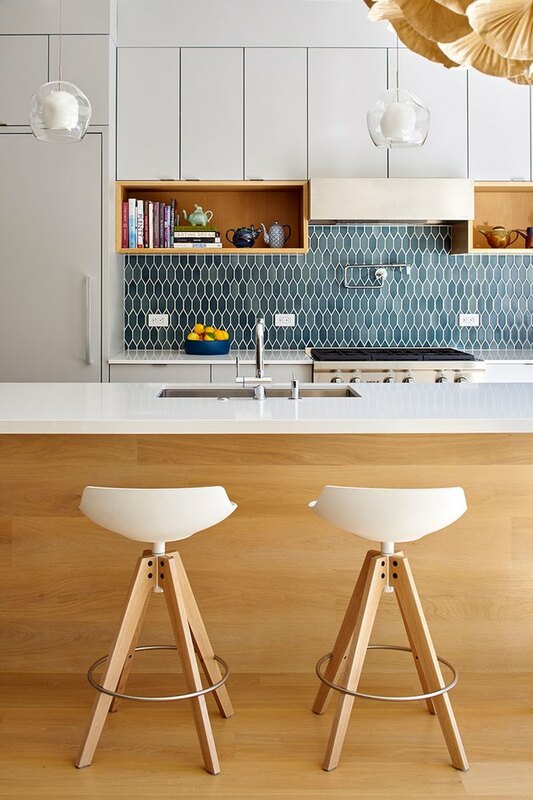 Which is why you can never go wrong with a cool-hued backsplash. From a clear blue glass tile to an eye-catching navy ceramic tile, there are tons of options to choose from. 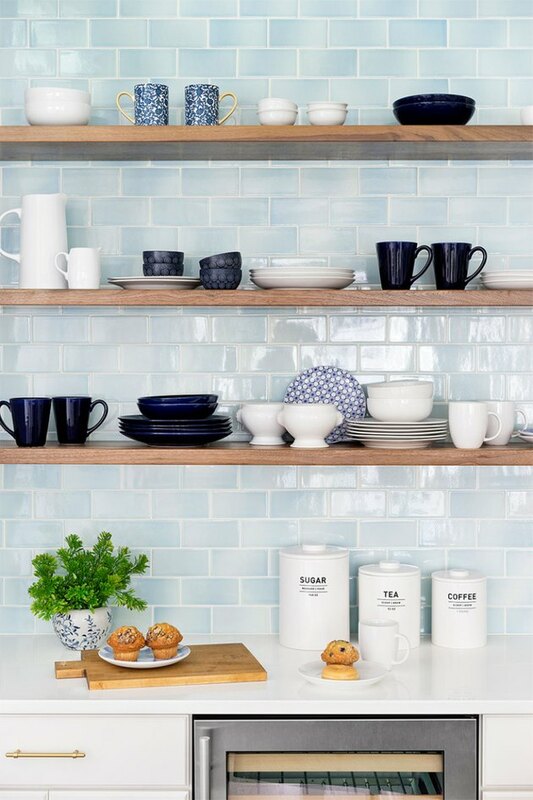 And these 13 inspiring blue backsplashes look so striking, they'll make you want to redo your kitchen as soon as this weekend. Turn your kitchen into an island paradise inspired by warm, blue-green ocean water. 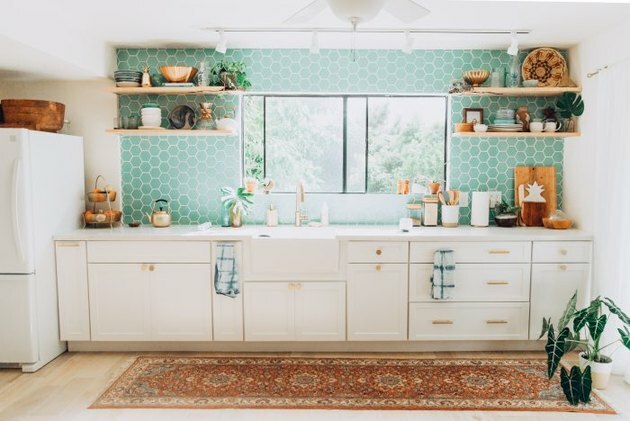 Photographer and blogger Elana Jadallah did just that by decking out her Hawaiian abode in this vibrant aqua hexagon-shaped tile ( $28 per square foot ). 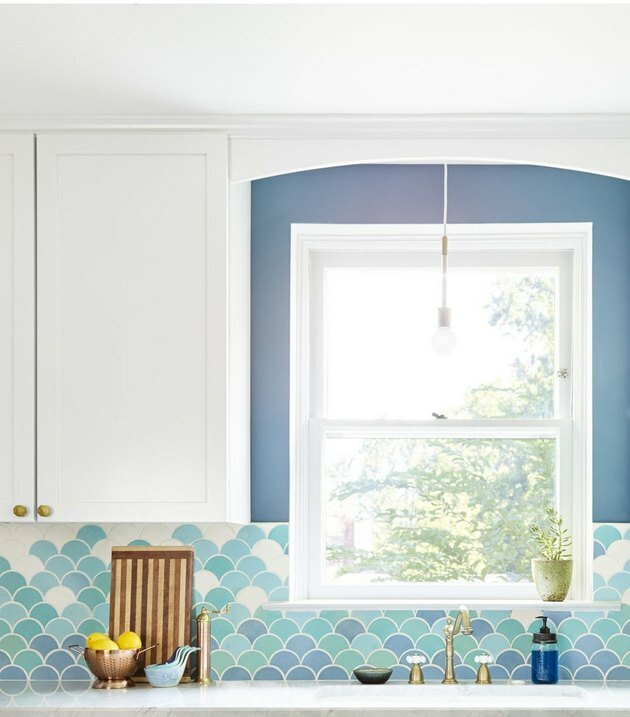 Interior designer Michelle Gage used these handmade Moroccan fish scale tiles ( starting at $49 per square foot ) to turn her backsplash into a focal point. The unique tile shape plus its varying hues of blue make it quite the catch. A dark and dramatic backsplash can make a big statement. 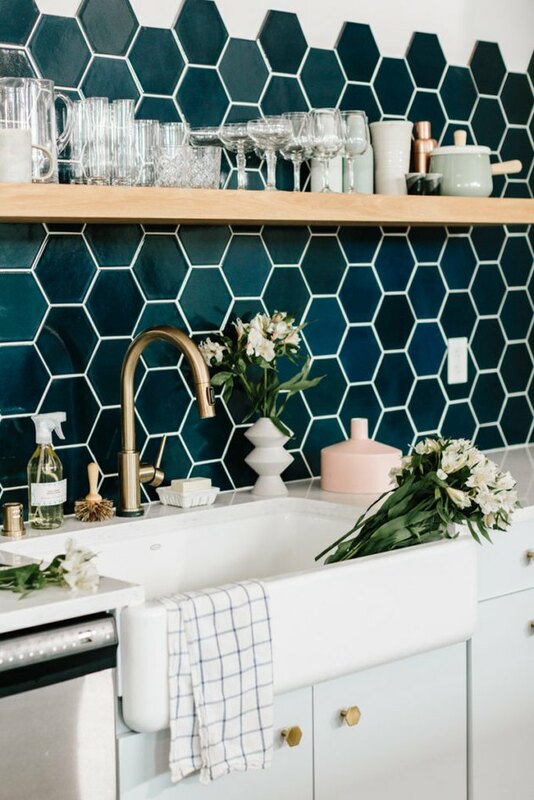 Kate Arends from Wit & Delight made her studio kitchen stand out by using these 6-inch hexagonal tiles ( $35 per square foot ). The bold and rich color really complements the brass faucet and cabinet hardware. 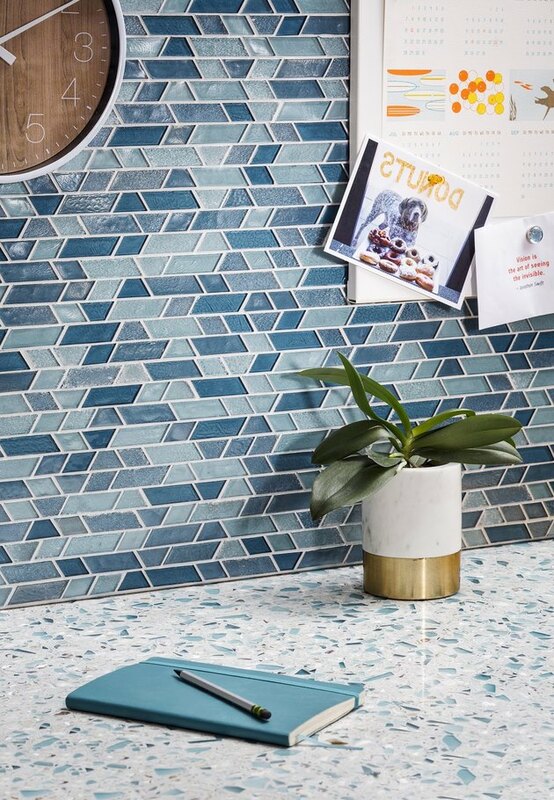 If opting for a blue backsplash feels like too much of a commitment for you, try "tiling" it with a vinyl peel-and-stick option like this playful design ( $49.95 ), instead. It's also a great option for renters who want to temporarily transform their kitchen. Or, you can try this geometric look on for size. An abstract print like this removable vinyl is a great way to give your minimalist kitchen some artistic flair. For an understated look, try a powder blue subway tile like interior designer Andrew Howard did in this serene coastal kitchen. The delicate hue will add a bit of color without detracting from the rest of the room's decor. 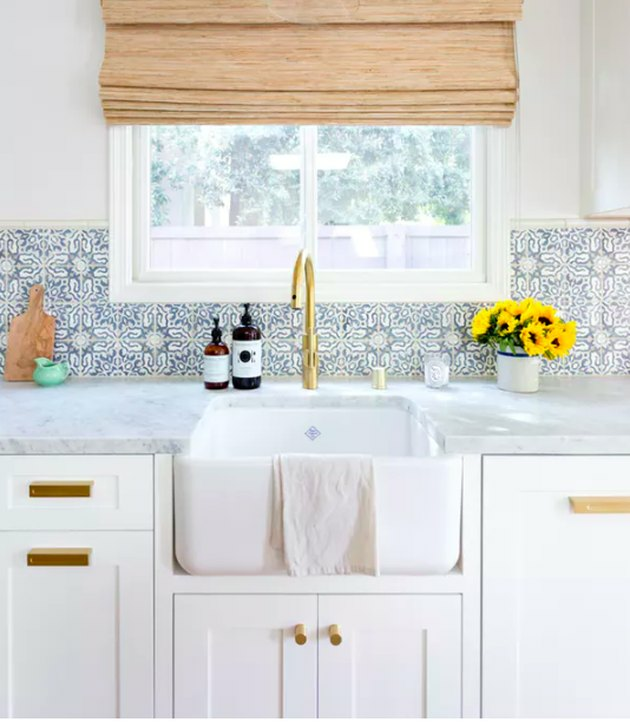 Paying homage to this home's 1920s Spanish Revival roots, designer Jennifer Muirhead used a Moorish-inspired cement tile for the backsplash to add some character to the kitchen. You can get the same tiles for your culinary space here. Skip over the average-size tile, and use a small-scale design instead. 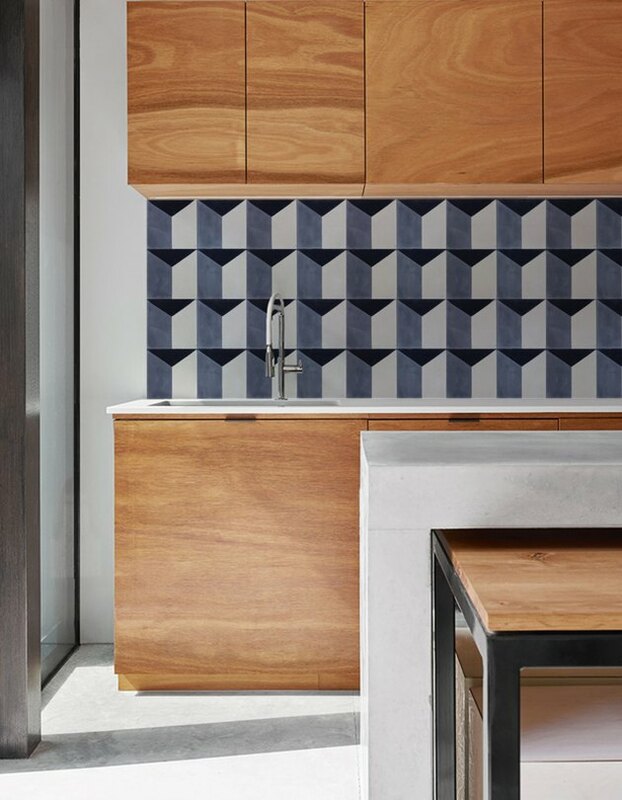 The repetition of the tile and grout lines will add a nice textural dimension to your kitchen walls, like the teal marquis-shaped tile in this San Francisco home does. Think outside of the box when it comes to your backsplash. 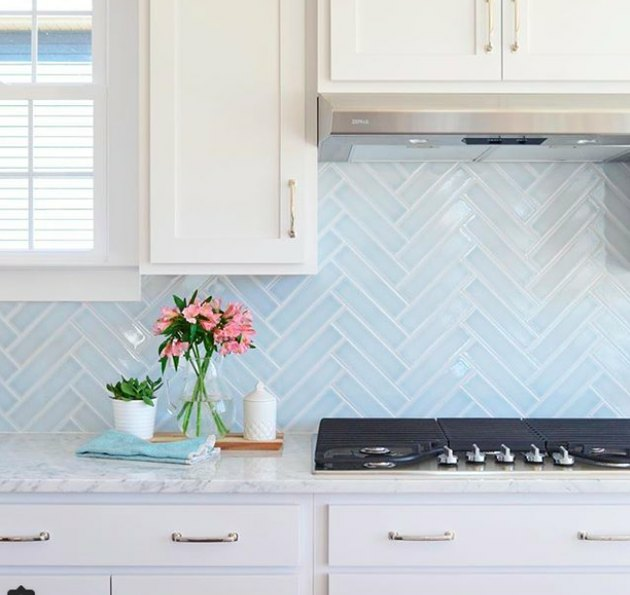 Sherry and John Petersik from Young House Love chose to mix things up with in this kitchen with a soft blue herringbone tile that's simply magical. Pick up the same tiles here for your backsplash. 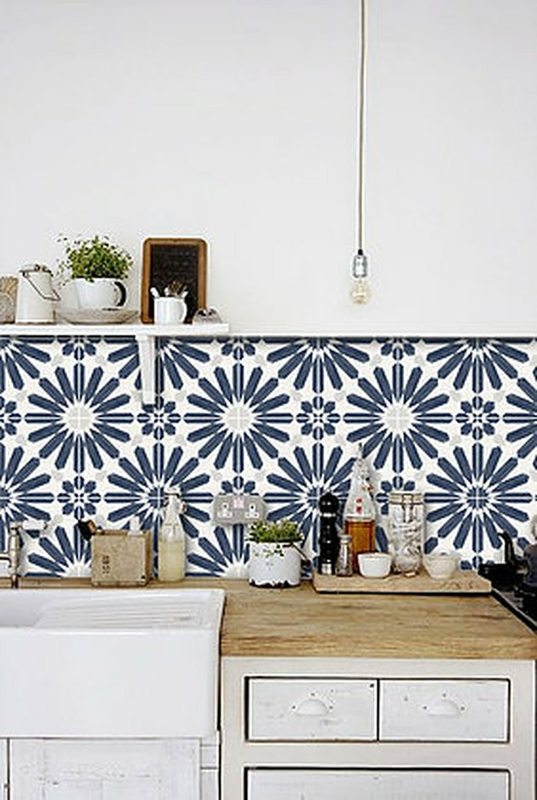 When it comes to your backsplash, use tile as a way to further your decor's theme. 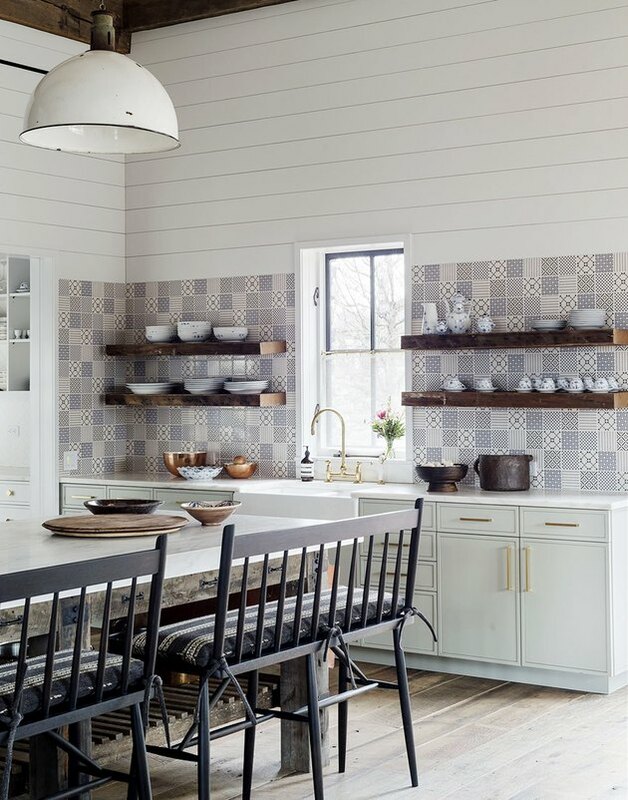 In this airy Hudson, New York kitchen, designed by Jennifer Bunsa, the blue pattern tile adds to the overall farmhouse charm. 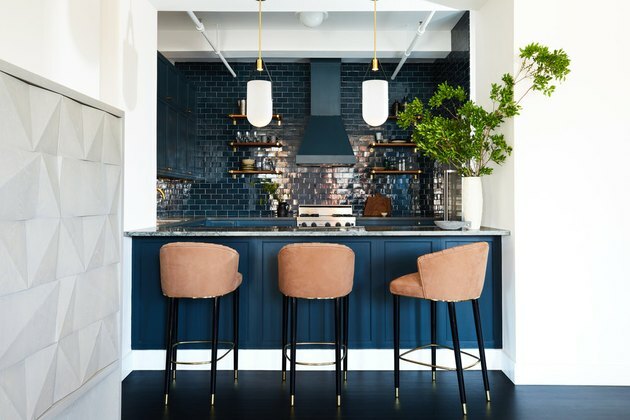 The colors in a room can instantly change the mood, which is why a dramatic and dark navy subway tile can help make your kitchen feel like an elegant and sophisticated destination. In this loft, designed by Jesse Parris-Lamb, the cabinets were painted a similar color to make the overall space even more eye-catching and sultry. Complement your your new blue terrazzo countertops with a shimmering blue glass mosaic backsplash. You'll love how light reflects off of the tile and brightens up your whole kitchen. Pick some up for your beach chic digs here. This modern kitchen is a dreamy mix of rich color and masculine details. 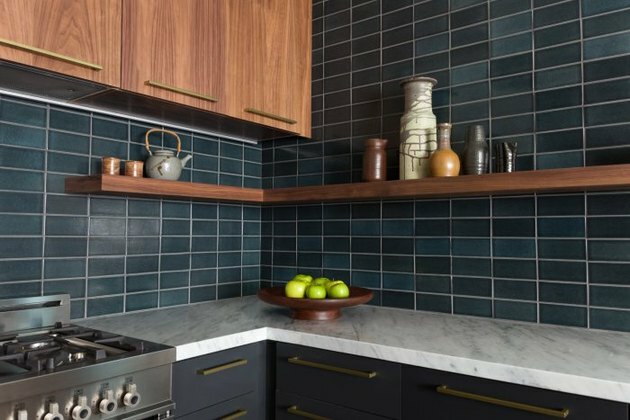 The dramatic teal backsplash tile ( $28 per square foot ) is dark enough to create drama and intrigue, but subtle enough to avoid overpowering the other elements in the room — like the beautiful wood cabinetry and open shelving. Maryn Liles, a former NYC magazine editor now living in sweet home Alabama, is obsessed with all things home decor. She believes people's spaces should reflect their personalities — which is why you can find lots of hand-painted furniture, sentimental wall art and playful decor accents around her place.